Our marriage groups are back! We have a very exciting line up that will definitely take your marriage relationship with God and your spouse to a whole new level. ALSO, attending a marriage group or marriage seminar does not mean your marriage is in trouble. It means you value it and it is your priority! These groups will begin on Sunday, April 28th at 5pm at Crossroads. Sign up for any of the groups listed below! Sign up for any of the following groups. This is a six week marriage experience by Dr. Tony Evans that will be facilitated by Eric and Mary Jane Brewington at Crossroads church. This is for military and first responders who are in a marriage or relationship. We will discover how to have a biblical marriage that reflects Gods mission in our marriage to advance His kingdom. Also how and why God designed marriage to reflect God’s image. This isn’t your typical marriage study. Throughout the series, you’ll watch 24 real life couples from across the country share candidly about their struggles in communication, finances, sexual intimacy, expectations, and more. This study reveals the higher, Jesus–focused standard defined by mature love—love that stays ‘on’ no matter what. 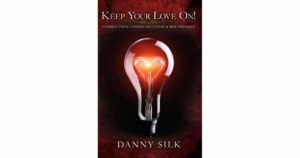 Danny Silk’s practical examples and poignant stories will leave you with the power to draw healthy boundaries, communicate in love, and ultimately protect your connections so you can love against all odds. As a result, your relationships will be radically transformed for eternity. When you learn to keep your love on, you become like Jesus. We want to challenge couples to examine their lives and relationship to see if it is marked by pride or by grace. Are you quick to blame your spouse for your problems or are you open to the possibility that the problem starts with you? 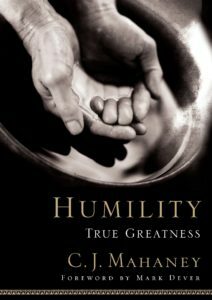 We want couples at Crossroads to experience the promise of humility, weed out pride within their life and marriages, and further their walk with our gracious Lord and Savior, Jesus. A wife has one driving need – to feel loved. When that need is met, she is happy. A husband has one driving need – to feel respected. When that need is met, he is happy. When either of these needs isn’t met, things get crazy. 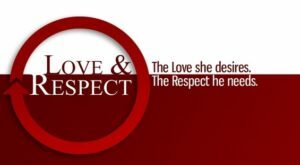 Love and Respect reveals why spouses react negatively to each other, and how they can deal with such conflict, quickly, easily, and biblically. The study utilizes a prerecorded “live” Love and Respect marriage conference that pairs with a workbook. The workbook includes a fill-in-the-blank in session guide (this will mimic what an actual conference participant is doing), comprehensive discussion questions, space for reflection, mid-week devotions, and more.